The Traxxas Rustler XL-5® The #1 Selling Stadium Truck! 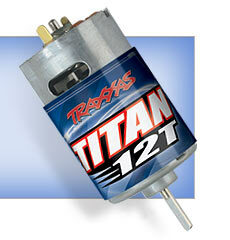 The Traxxas Rustler has a winning formula for rugged, dependable fun that starts under $199.99! 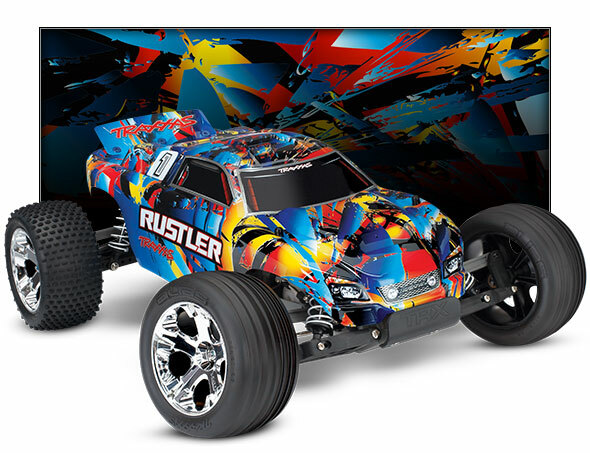 The Rustler brings RC fun to a whole new level with faster speeds, innovative technology, and hobby-grade durability for years of fun. With a top speed of 35+mph*, Rustler rips off-road roost with its powerful Titan® 12-turn modified 550 motor and XL-5 Electronic Speed Control. 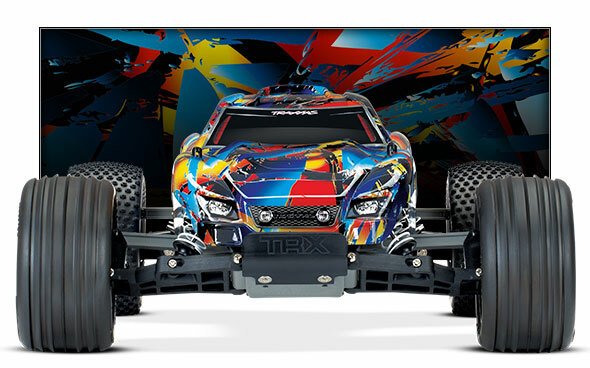 Traxxas' exclusive waterproof electronics allow Rustler to blast through puddles, mow through mud and shred snow for wild all-weather fun. Your RC adventures are limited only by your imagination. 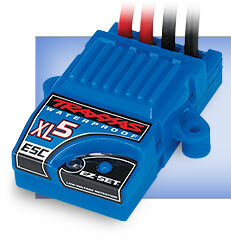 Step up to genuine Traxxas quality and performance and discover a whole new level of fun with the Traxxas Rustler!